In CA, incarcerated men & women, and folks on parole for a felony conviction, are legally barred from voting. A new petition known as the Voting Restoration & Democracy Act of 2018 is trying to alter that. The petition needs somewhere around 568,000 signatures to qualify as a valid initiative to be placed on the November ’18 ballot. 180,000 Californians cannot vote because of a felony conviction. Like many criminal justice policies, the disparate effects are geographically isolated. In South Central Los Angeles, only 42% of the adult population retains the right to vote. Most other developed countries allow people to vote from prison. In fact, the US could be said to have the world’s most restrictive criminal disenfranchisement laws. Only 2 states in the US do not remove the right to vote for people sent to prison (Maine & Vermont). Studies have shown that restoring voting rights lowers the risk of recidivism. We shouldn’t want folks returning from prison to feel disconnected from society, because those are precisely the folks who will be less equipped to to renter their communities as productive citizens. Removing a person’s right to vote as punishment for a crime is based on outdated ways of thinking. Incarcerated men and women are still human beings with unalienable human rights and should not be be denied the right to participate in the democratic process. You can help collect signatures for the initiative here and mail completed petitions here. Why do Americans tolerate the current punishment regime in the United States? This overarching question guides this book by blending in historical, philosophical, and legal answers. Ferguson makes the central argument that most Americans fail to grasp the reality of prison life, which allows punishment to be increased with little regard for human consequences. The compartmentalized nature of criminal justice institutions leads to a diffusion of responsibility and an escalation of pain in punishment. The omnipresent metaphor of Dante’s Inferno provides an opportunity to pivot from current practices that condemn souls to hell to a purgatory based system that punishes with an eye towards future redemption. Folks with a side passion for literature will really enjoy this book, as Ferguson references Dostoevsky, Kafka, Dante, and Hugo repeatedly. This creative book offers a refreshing take on the usual cut and dry positions articulated in the prison literature landscape. John Irwin is the GOAT of prison sociology literature. In this work from 2004, Irwin traces the historical development of prisons while drawing parallels to the contemporary carceral archipelago. Societies have evolved from the corporal punishment era of inflicting wanton pain and suffering for trivial offenses, but the new prison regime is similarly situated in it’s neglect for human rights. Irwin asks fundamental questions about how we should think about prisons in today’s day and age. Are they serving a noble purpose in protecting the general welfare of society by confining dangerous criminals? Or, just perhaps, is there a more sinister motive at play? The same demographic groups are targeted by prisons today that were at the inception of State sanctioned punitive practices — mostly poor, people of color. Irwin’s writing style is accessible and easy to digest, a testament to his lasting legacy on prison reform scholarship. Prosecutors are the prime culprits for this era of hyper incarceration. If we can ever hope to emerge on the other side of this punitive tidal wave, we need to understand the nuances of prosecutorial behavior. Success for prosecutors is measured in convictions, but often this runs antithetical to a mission of serving justice. Davis, a former public defender in D.C. for a dozen years, takes readers behind the scenes and reveals an inherently problematic legal landscape. Prosecutors hold all the cards in charging decisions and plea bargaining, and Davis demonstrates how even well-intentioned prosecutors can perpetuate injustices. But for all the damaging aspects of prosecutorial misconduct Davis highlights, it’s equally informative about simple avenues for reform. A slender book written by a lawyer in lawyer language, it’s nonetheless vital reading for those interested in tangible prosecutorial reform efforts. Professor Lerman sets out to help readers understand the many layers of this punitive moment in history. Crime control policies of the past half-century have given rise to institutions that recreate the conditions that produce criminality in the first place. Increasingly harsh prison conditions foster social norms necessary for survival inside, but damaging for reintegration once on the outside. Further, Lerman sets out to measure the impact of harsher prisons on correctional staff and their evolving relationships with incarcerated subjects, plus family and friends outside of the prison. This book reinforces the notion that time spent in prison is not some type of deep freeze during which individuals remain unchanged. Rather, we should see prisons as small communities unto themselves. An excellent read for folks interested in a deep dive into how the other half lives. Unrelated to the book — Lerman spent time tutoring at San Quentin State Prison in the same program as this blogger. ‘See, when you come in here, you deal with exactly who you are. You become who you really are and you deal with feelings that you have not had to deal with in years. All this is coming out. I was not pretty when I was out there. I think I am pretty now and you feel good about yourself’. ‘Yeah, I consider myself just playin’ the hand that I was dealt. And in life, no one asks for the hand that they’re given. Now that I’m older, I can change it or stay with the situation or complain about my present situation, or whatever, but you know I don’t choose to do that, I choose to say, hey, okay, yeah, and so now it’s time for me to take some responsibility. It is up to me’. ‘Here you can become you. And you can get what is inside really out. And sometimes that is not really pretty. And for some people that can be very scary. You have to learn to be honest with yourself here. You can’t hide behind a bunch of lies like maybe you did on the streets. It is the hardest thing in here and it is the step that hurts everybody the most. You have to realize what you have done to people and the things you have done wrong’. Owen’s specialized knowledge of women’s imprisonment is put on full display in this recent book. The mobilizing factor in women’s imprisonment is capital, and a crucial lack thereof. But a lack of capital doesn’t just confine women’s lives on the outside, it haunts them even while incarcerated in complex ways. Certain sections of this book directly call out Orange is the New Black which promoted mainstream attention to the plight of incarcerated women, but relied on lazy stereotypes. The conclusion is especially salient as it attempts to implement the Mandela Rules for humane prison conditions. A powerful read that builds on the narrative forged by In the Mix. Don’t refer to incarcerated individuals as prisoners. They are not prisoners, they are folks who’ve been prisonized by the State. Referring to them as such trivializes their identities by defining them solely by the institution that confines them. It becomes much easier to rely on stereotypical depictions of incarcerated folks when they are labeled as prisoners. ‘Prisoner’ carries an inherently negative connotation pinned up by notions of disgust & incorrigibility. We can alter this damaging palimpsest by moving away from these monolithic characterizations. Instead of seeing Joe as a prisoner unworthy of respect, we should see him in a holistic light as someone who, perhaps, suffered from a lack of economic autonomy in life that guided his behavior that led to his incarceration. In many ways, this argument is similar to referring to immigrants as undocumented instead of illegal aliens. No human being is illegal just as no human belongs in a cage. We can begin to shrink the social distance of incarceration by changing the language we use in common discourse. It is a simple step that reaps immediate short and long-term benefits. In the short term, we can begin the process of re-humanizing hundreds of thousands of fellow Californians who are currently incarcerated. In the long term, we can ease their transition back to society by acknowledging their experiences and offering second chances. For those unmotivated by these humanitarian rationales (which is doubtful for the three readers of this blog), we can always fall back on the profound cost of incarceration as a mobilizing factor. By distancing ourselves from the lifetime sentence of being branded a prisoner we can extend more economic & social opportunities to help these folks from ever returning to prison. ‘Prisoners’ are barred from reintegrating back into mainstream society by over 40,000 legal discriminatory barriers. Individuals who have complex pasts that involved structural injustices and self-inflicted harms should enter an ecosystem eager to help them move forward, not eager to send them back at all turns. Often, folks don’t believe in second chances until they need one themselves. Implicit in this line of reasoning is the idea that in this country it would be incredibly wrong for someone to receive something they don’t deserve. Empathy should be a foundational quality society is built on. In order for it to become so, we must be the catalysts for the change we want to see. This isn’t a call to social justice warriors, it’s a call for basic human decency. CA has the largest number of women in cages of any state in the country that incarcerates the most people on earth. 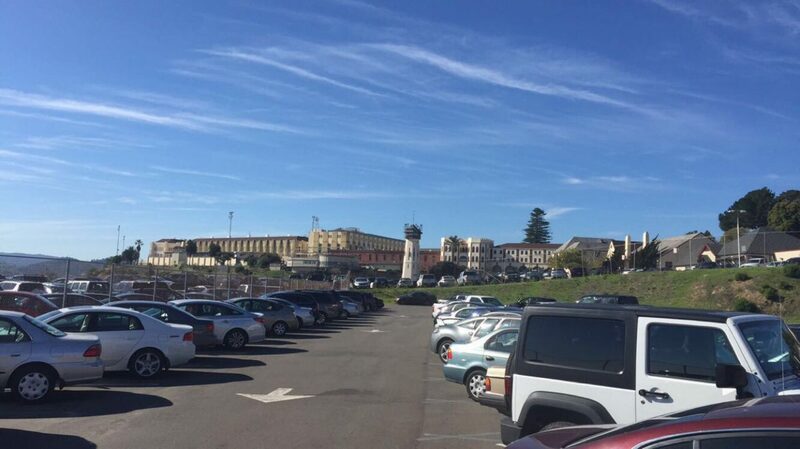 The biggest women’s prison in the world is in CA. More than 1/3rd of all women incarcerated in CA are from Los Angeles county. 75% of women in CA’s prison system are classified at Levels I and II (CA inmates are placed at facilities based on safety levels I-IV). In comparison, only 55% of men in CA are classified at Levels I and II. Approximately 70-80% of incarcerated women are mothers. African-American women are the fastest growing sector of the US prison population. Women in prison are typically women with complex histories of abuse, trauma, and addiction. Since most women in prison have had lives shaped by a multiplicity of abuse (80% report abuse of any type at anytime in their lives), it’s safe to assume the prime motivation for most of their crimes is economic, psychological, and emotional survival. Like men, most incarcerated women are under educated. Women are sent to prison less frequently than men, for far less serious offenses, and commit less disciplinary infractions once inside. Historically, women have been incarcerated in psychiatric institutions at greater proportions than in prisons. Masculine criminality is seen as more normal than feminine criminality. Deviant men are constructed as criminals, while deviant women are constructed as insane. Psychiatric drugs like Haldol are distributed more extensively to imprisoned women than men. For most of the twentieth century, the female incarceration rate nationwide was 8 per 100,000. Today it is 51 per 100,000. The incarceration rate for African-American women currently exceeds that for white men as recently as 1980. Prison culture for women often involves themes of violent sexualization and exploitation. (Male Correctional staff at women’s prisons in CA hovers around 70%). A 1996 Human Rights Watch report summarized, “Our findings indicate that being a woman prisoner in US state prisons can be a terrifying experience. If you are sexually abused, you cannot escape from your abuser. Grievance or investigatory procedures, where they exist, are often ineffectual, and correctional employees continue to engage in abuse because they believe they will rarely be held accountable, administratively or criminally. Few people outside the prison walls know what is going on or care if they do know. Fewer still will do anything to address the problem.” Clearly, men don’t share the same struggles with patriarchy or sexual and personal oppression found in the lives of women. Incarcerated women organize their time and create a social world that is quite different from contemporary men’s prisons. The culture of women prisons develops in ways different from the degradation, violence, and predatory structure of male prison life. In some ways, the culture of the women’s prison seeks to accommodate these struggles rather than to exploit them. Race and ethnic identity provide a subtext to prison life for women, they are clearly secondary to the dominant issue of personal relationships. (Unlike male prisons in CA that are racially segregated, female prisons are not).